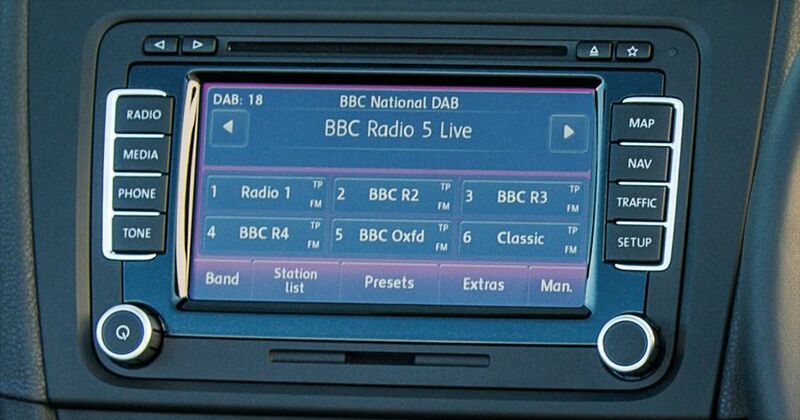 What is DAB digital radio in your car? More than 80% of new cars in the UK now come with DAB as standard, and this figure is only set to increase. A digital radio is an increasingly common piece of kit in new cars. DAB – or Digital Audio Broadcasting – is a method of broadcasting radio digitally, rather than via an analogue signal. What are the benefits of DAB in a car? It has several advantages over FM, AM or long wave radio. The biggest advantage is the number of stations that can be accessed via DAB, and there are more national DAB stations, so you’re not constrained to listening in particular cities and areas. Around 97% of the population can now receive digital national radio services, and 90% of the population can receive local radio services. You are also less likely to get interference on a DAB radio, than a traditional one. Gone are the days of desperately trying to hear the last few bars of your favourite song, only to have it ruined by hissing and crackling as the stations loses signal. DAB stations can still cut out, but the reception quality is maintained until it is completely unsustainable. DAB also offers more information about what you are hearing, including song names, artists, and the programme and DJ. And it’s easier to access stations, rather than having to flick through several frequencies to find the best reception quality, each station has one button, and one button only. Are there any disadvantages of DAB in your car? It’s still not perfect, and you may find there are some more remote areas where you struggle to find DAB signal, but can still pick up FM frequencies. And in some cases, the sound quality may not be great, but it’s still better than FM and AM. If there is a case where you’re struggling to pick up DAB frequencies, FM and AM frequencies are also accessible, so you’ll still be able to tune in. What about the digital switchover? It’s likely local radio stations will continue to exist on AM/FM frequencies for many years to come, but if you like your national stations, these will become digital exclusively in a few years’ time. What is tyre speed rating? What are LED and xenon car lights? What’s a Category S or Category N car? What is a crossover car? What is Apple CarPlay, Android Auto and MirrorLink? What is Isofix in a car? What are horsepower and torque, and why does it matter? What are ESP and traction control in my car? What is Bluetooth in a car? What is a wireless phone charger in my car?